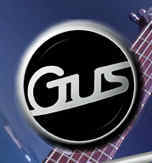 "I love my Gus - it gets the job done super well...it's a wonderful guitar - art at it's best!" Ok, so Bill's holding a big bodied Gibson in the photo...but we know he loves his Gus G1 just as much! 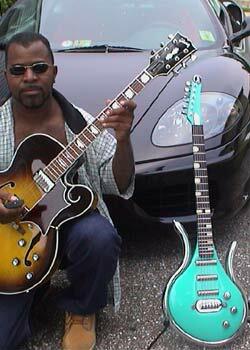 A truly accomplished guitarist, Bill's writing and performing credits read like a wish list for any aspiring Jazz/R&B player: Snoop Dog, Jay Z, Genuwine, Missy Elliot, SWV "Can we get freaky tonight", Az, Supervision, Busta Ryhmes and many more...oh and he also wrote "Girl you know it's true" by Milli Vanilli. It's great to have our instruments used across a broad spectrum of musical genres and though a G1 may not appear to be the immediate choice for a Jazz styled player, Bill seems to revel in its clear strong tonality, to make the most of which he uses very thick strings - 13s or 14s!